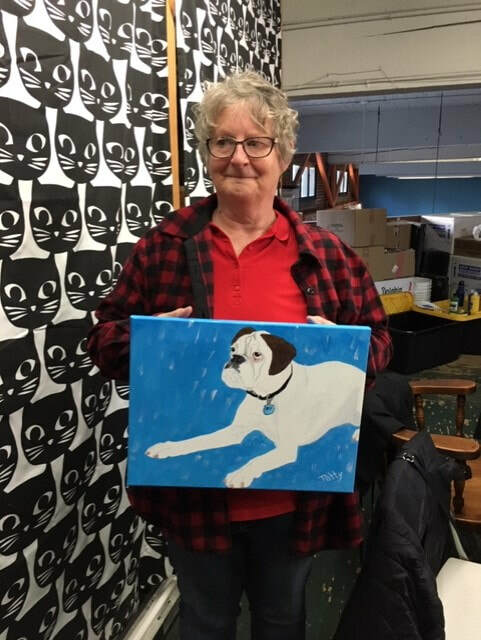 "Thanks so much for the wonderful afternoon of painting at Woofers. 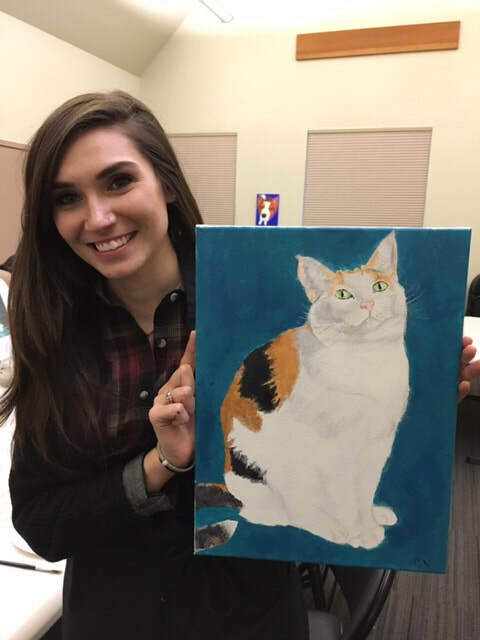 I was truly surprised at how well the painting turned out, I can’t even draw decent stick people, let alone paint. Thank you for laying the groundwork and providing awesome guidance for this non artist." 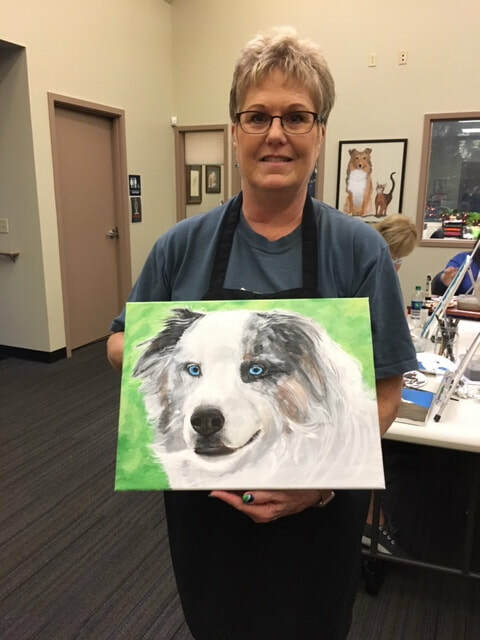 Rachel Williams, student at Woofer's Paint Your Pet Class. 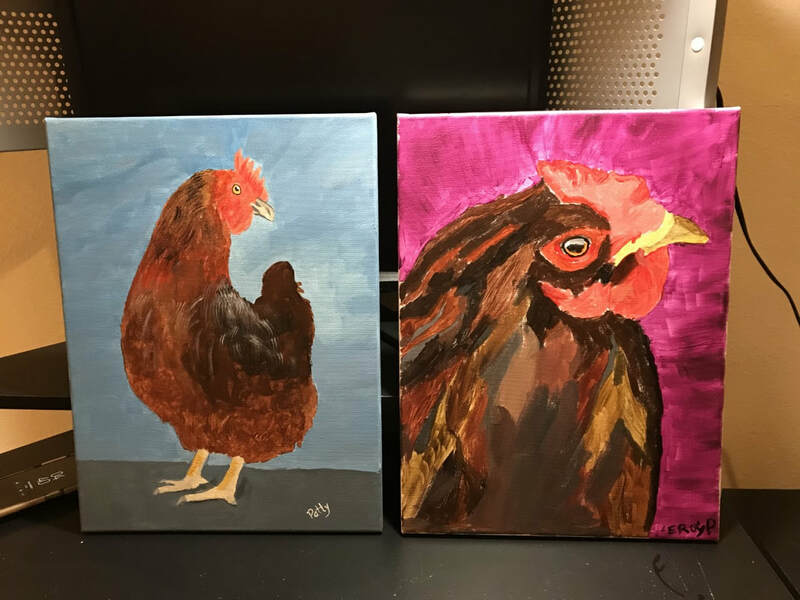 These paintings were created by Dawn Moran at "Paint Your Pet" workshops. 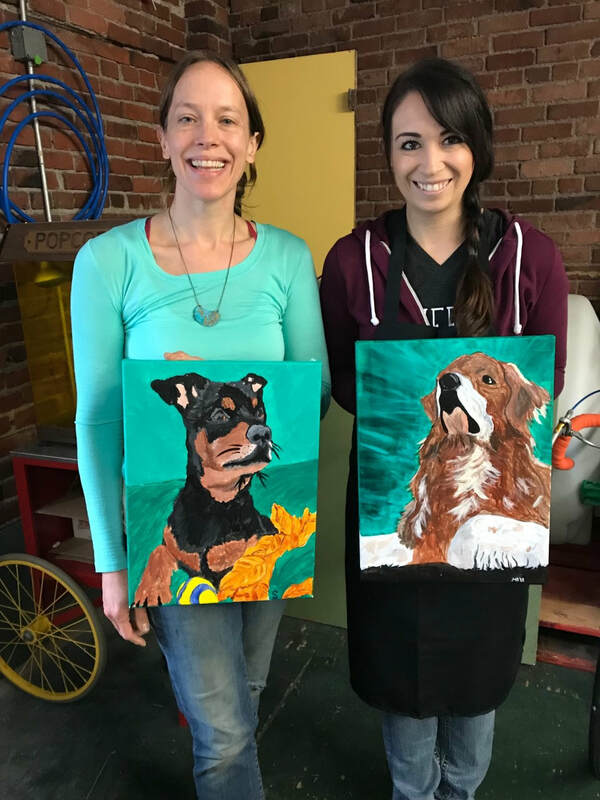 PetWorks in Olympia, is hosting a "Paint Your Pet" on May 26th, Sunday, starting at 1 pm. 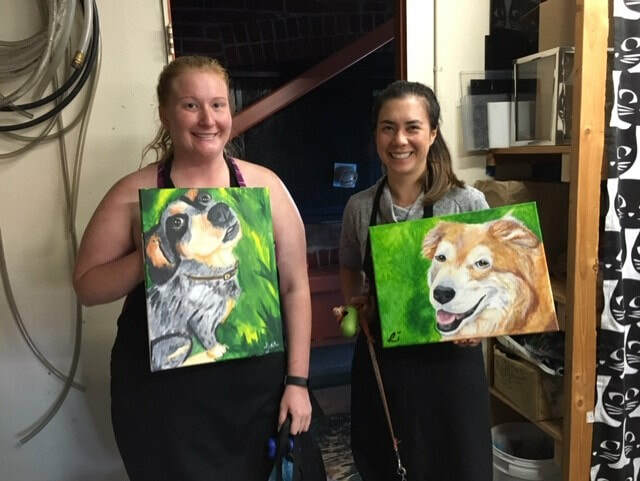 A Rhapsody's Blooms, Boutique & Cafe' Latte' is now offering my "Paint Your Pet" classes. 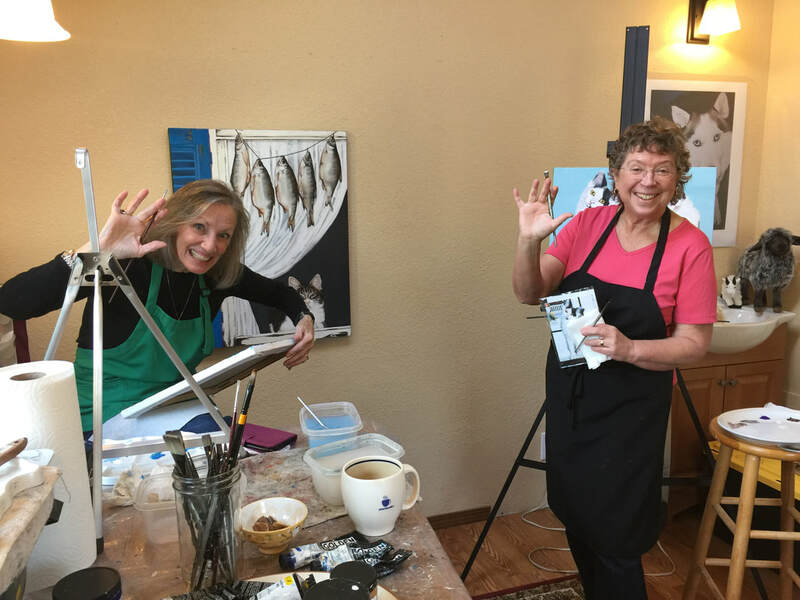 The first class is being held on May 5th, a Sunday, starting at 1 pm. Interested? Contact Denise at A Rhapsody's Blooms to register. 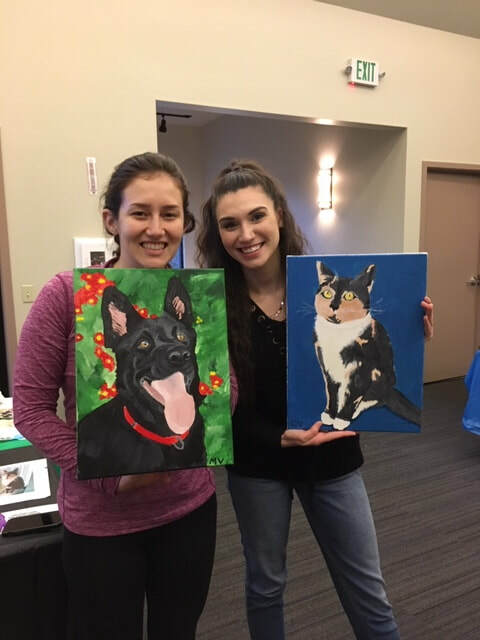 "Paint Your Pet, PAWS Against Cancer" fundraising event hosted by The Olympia Veterinary Cancer Clinic on January 13th, was such a wonderful event. Thanks to Abbey for putting this all together. 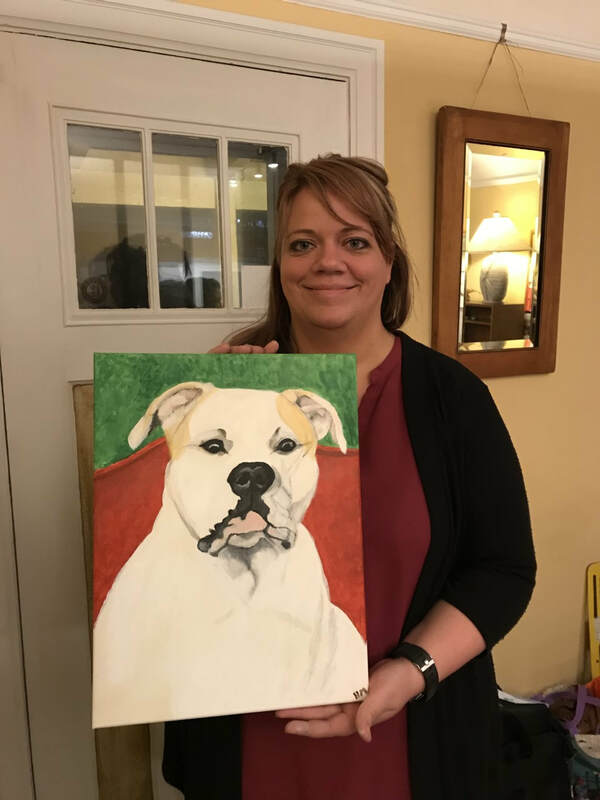 Here are some of the pictures we took at the event, highlighting the process and the beautiful portraits that were created. 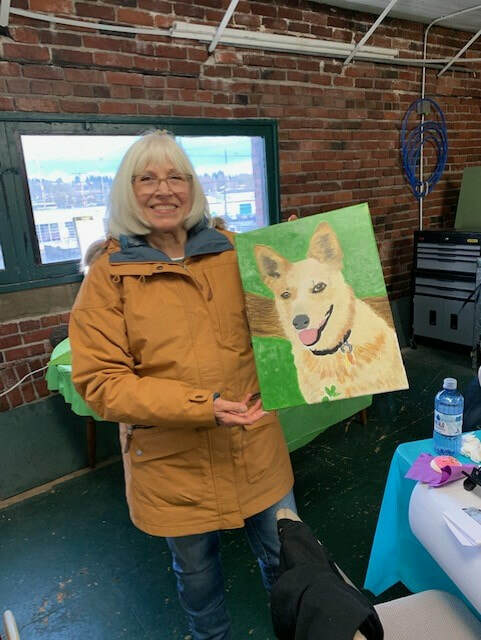 February's "Paint Your Pet" at The PetWorks in Olympia was so much fun. 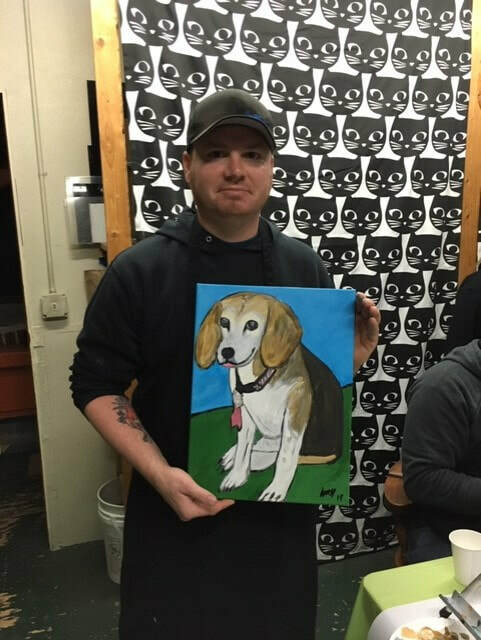 There were so many talented people who showed up to paint. 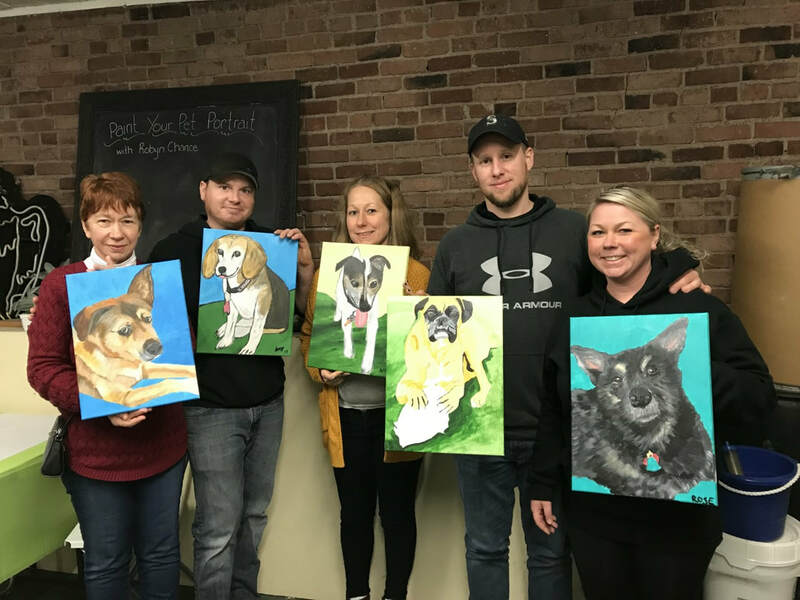 Below are some of the artists with their artwork. 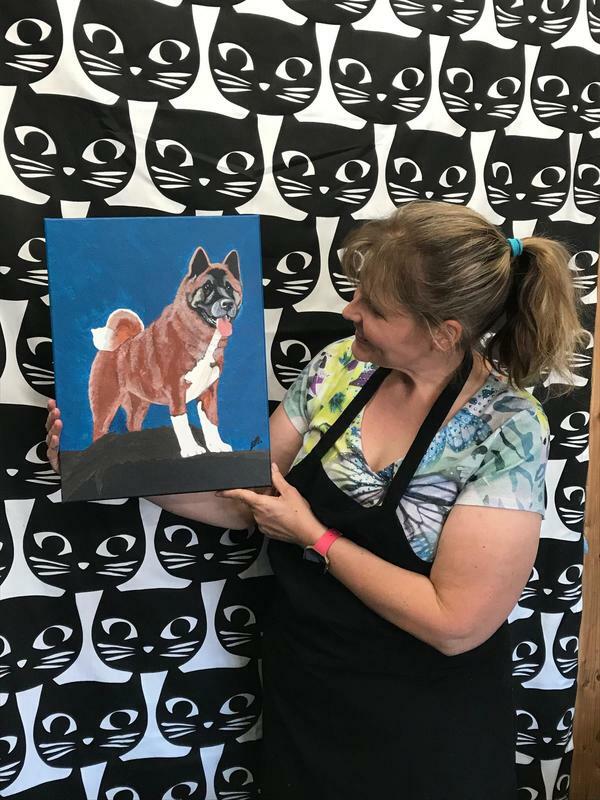 Below are some of the photos taken from "Paint Your Pet" events, at Woofers in Spanaway, The PetWorks, in Olympia, and some private parties. "Thank you so much Robyn! We both had the best time. We shared it on our Facebook pages and we both have so many people who are interested in doing this. My 4 year old was so excited to have a picture of Beanie up in his room. 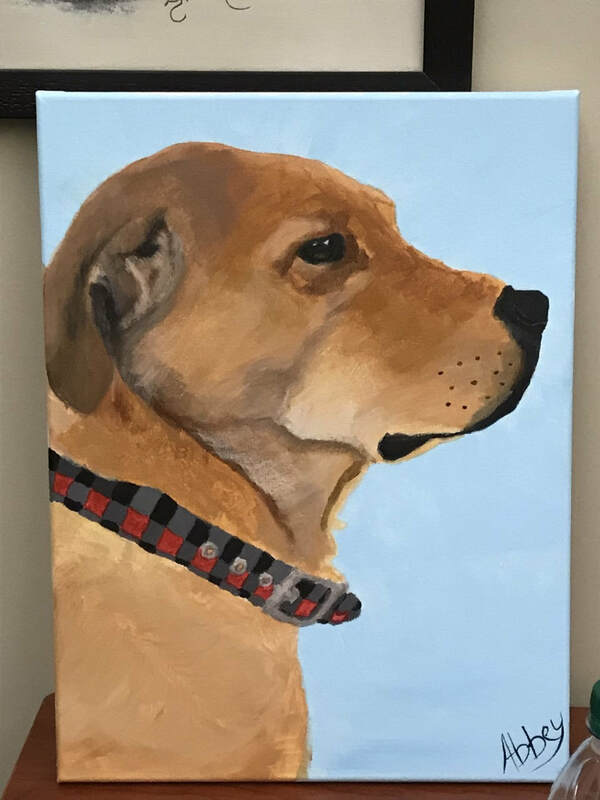 It was very therapeutic for me to paint him. Thank you again!" 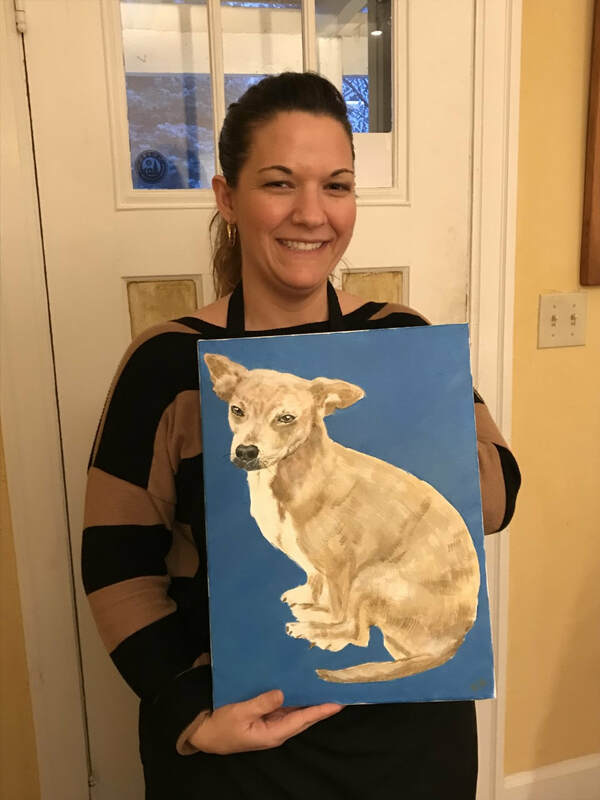 Julie Huezo, student at PetWorks "Paint Your Pet" class. 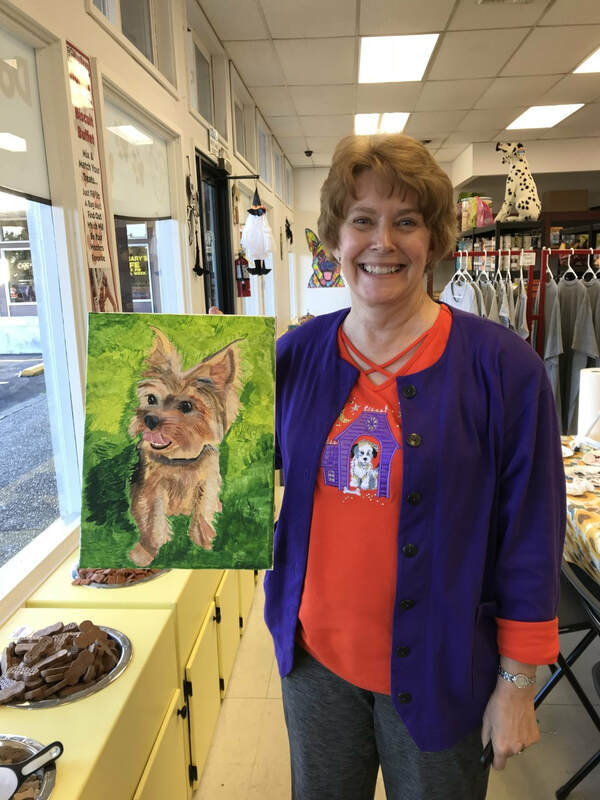 I am now teaching "Paint Your Pet" classes at The PetWorks in Olympia, Washington. The next class offering is scheduled for May 26th, from 1 pm-5 pm. 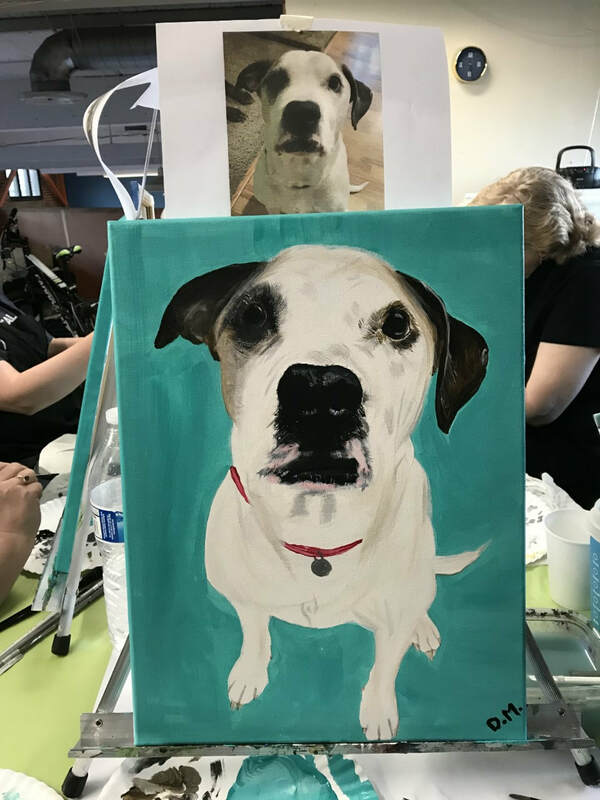 Click on the word, "PetWorks", or the date, to link to the ticket sales for this event. .
​The special "Paint Your Pet" workshops on July 8th and October 28th, to raise funds for PAWS Cancer Surgery and Rehabilitation were a great success. 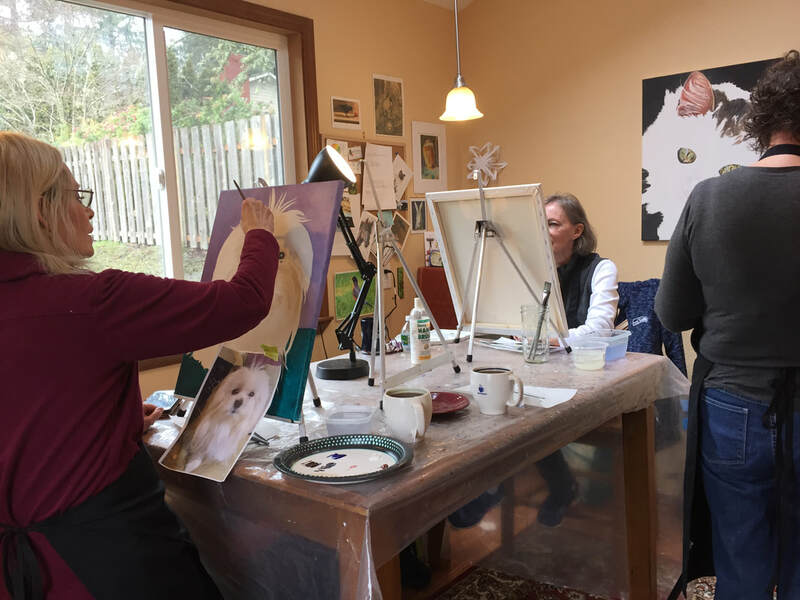 Olympia Veterinary Cancer Clinic will be offering another PAWS against Cancer event will be on May 19th, 2019. You can find out more or purchase your tickets by contacting Abbey at OVCC: (360)339-3956 or email Abbey: bradley.abi.m@gmail.com to find out more. 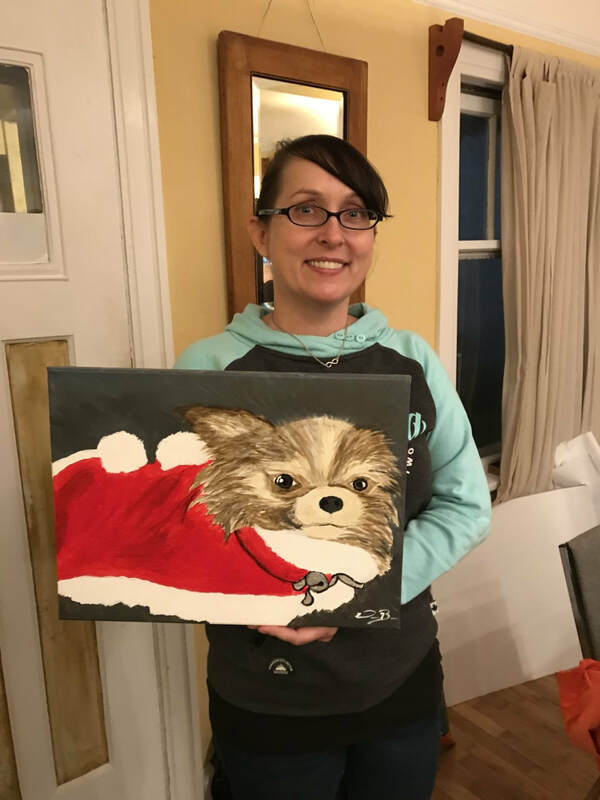 I have a number of Paint Your Pet events coming in the next couple of months. 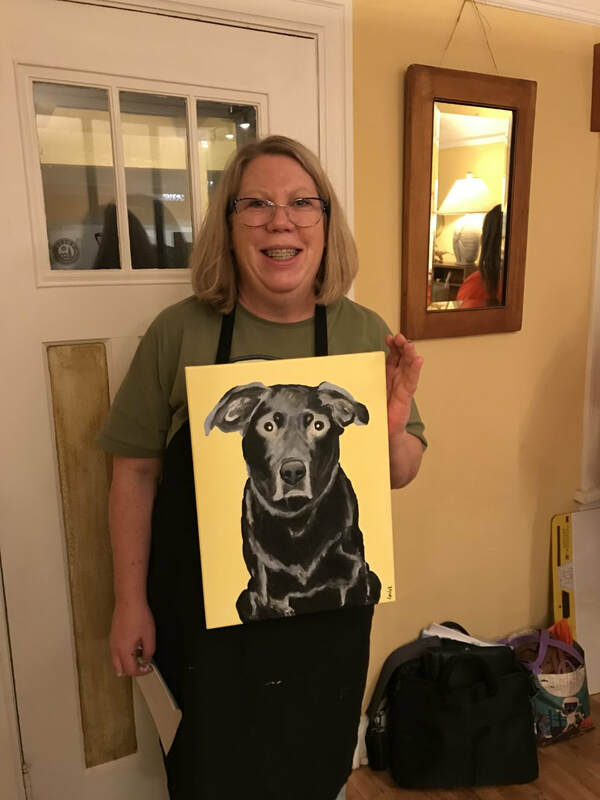 I offer private Traveling Painting parties, just contact me at robynchance@hotmail.com to discuss options or to set up an event. 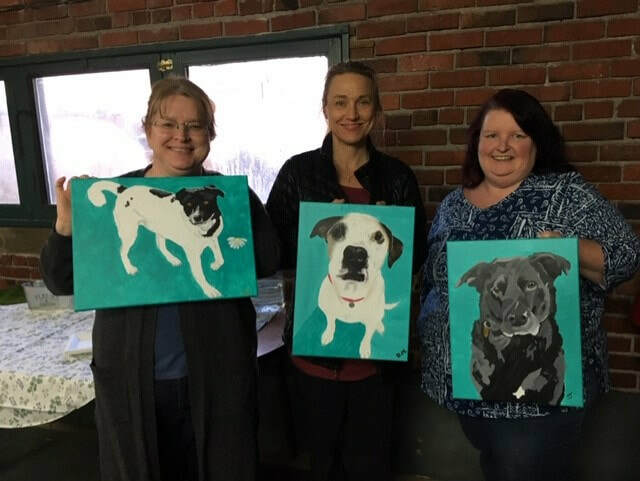 PetWorks offers a monthly class. 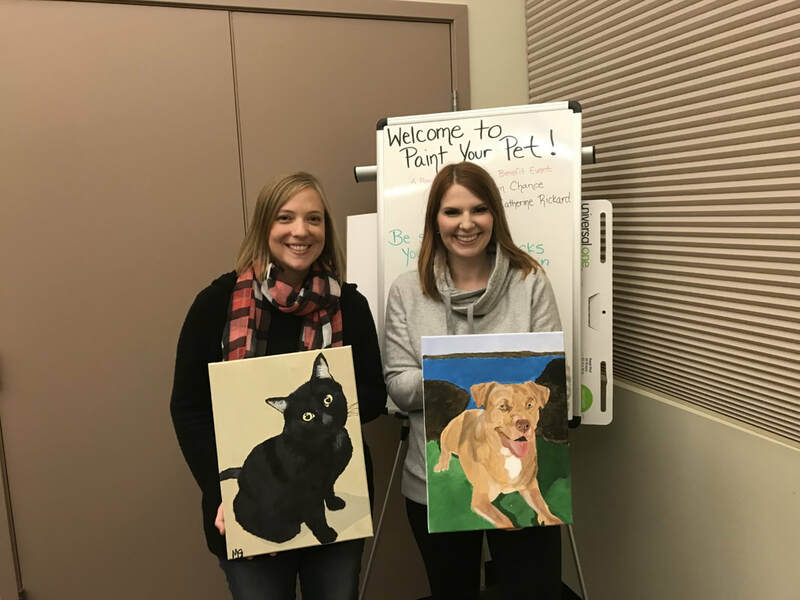 The sign up for these classes are managed by PetWorks, so to sign up for one of them, just click on the business name, or the dates listed for their events, and it will take you to their specific registration pages. 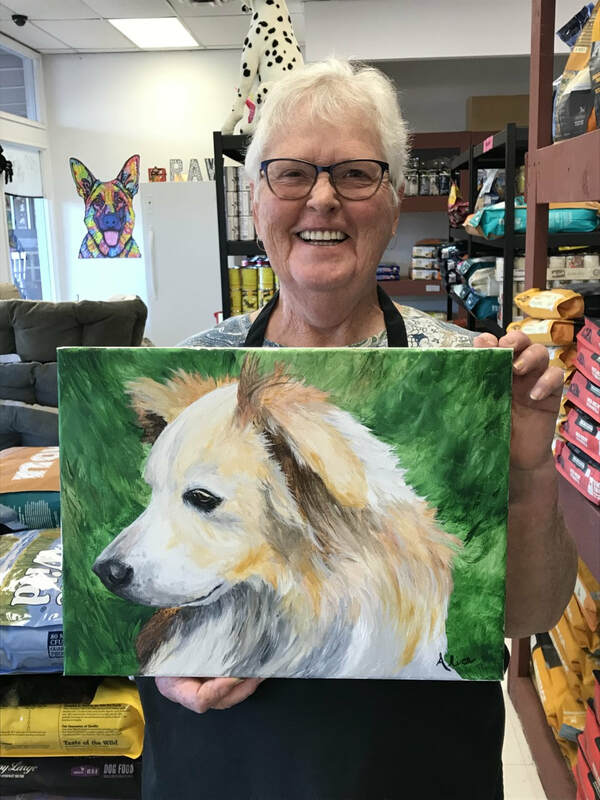 A Rhapsody's Blooms, Boutique & Cafe' Latte', located in Tacoma, is now hosting my "Paint Your Pets". The first event is scheduled for May 5th. contact Denise to learn more, or to register. 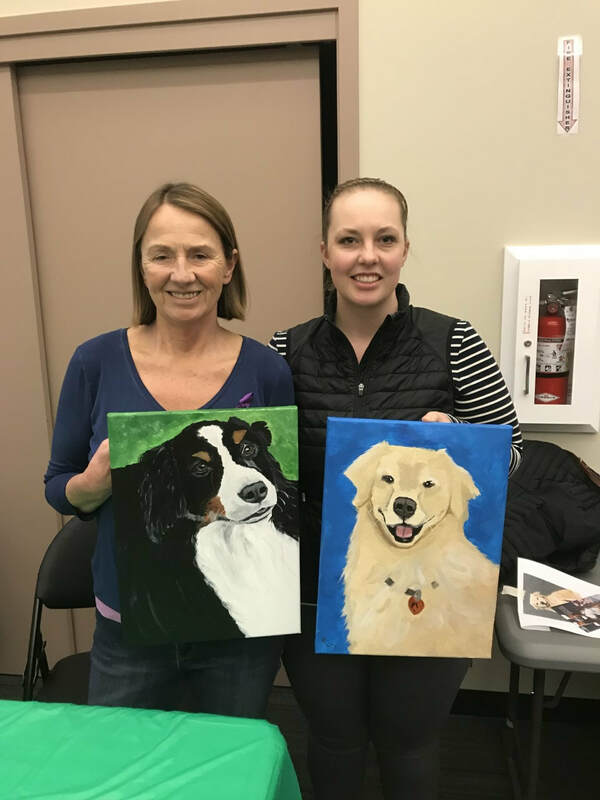 The Daily Olympian's article about my Paint Your Pet classes. This is a 4 hour class and NO prior art skills are needed. 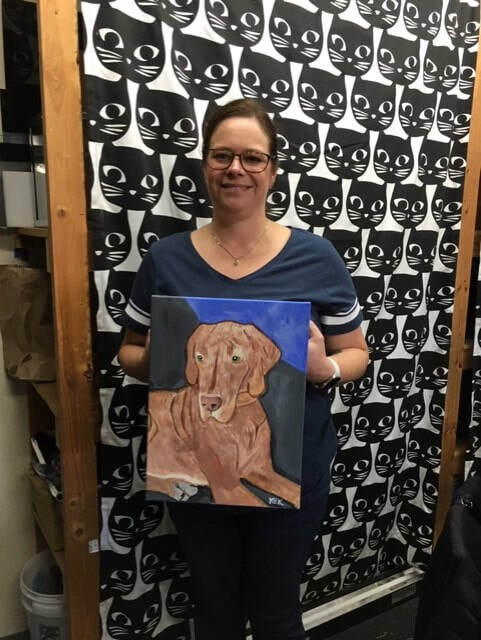 I work with you to help you create an artistic representation of your beloved pet, or any animal you love. 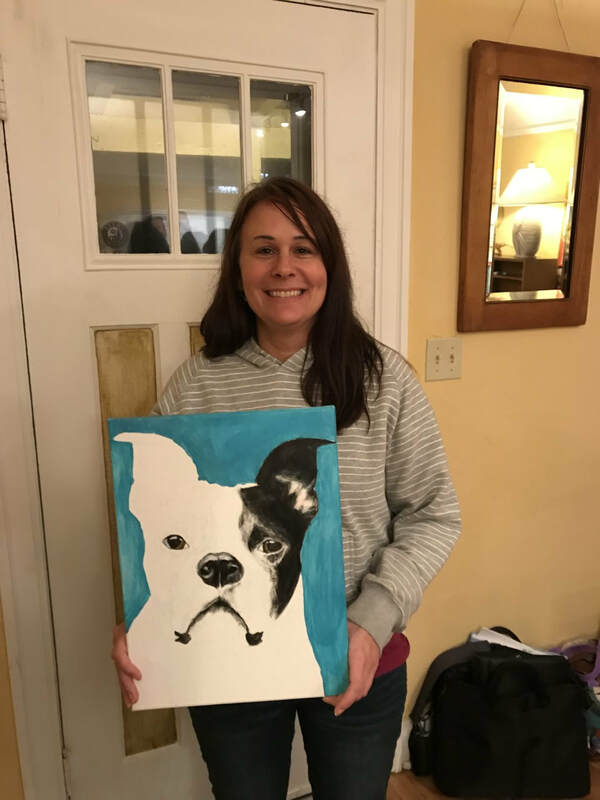 After you register for the event you will need to send me a photo of your pet, or the animal you want to paint, one pet per canvas please. You can send it as an attachment to robynchance@hotmail.com or send it via text to my phone at (360) 292-3129. The photo that you decide to use needs to be in focus, or as clear as you can get it, I can work with somewhat fuzzy images, with good lighting. 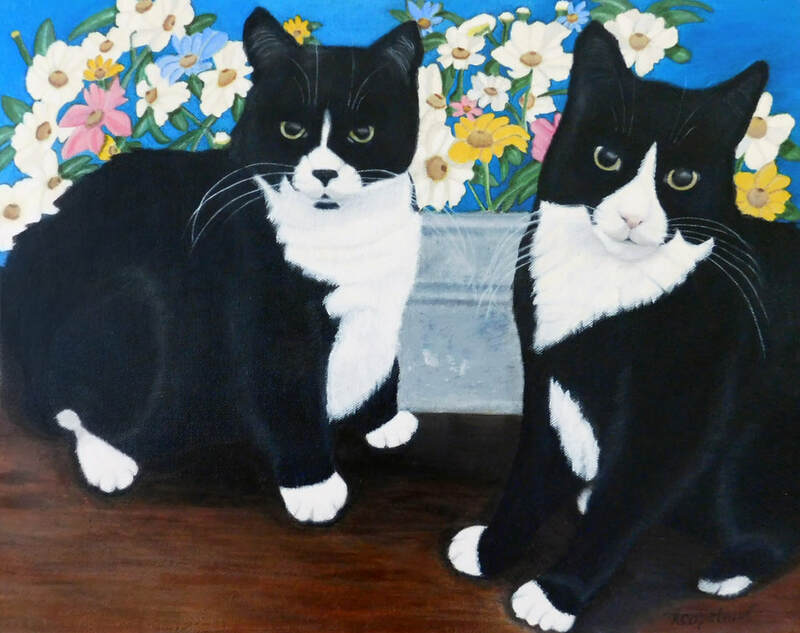 It is best if it is a close up of your pet, I can crop it for you to make sure that your pet, or animal, is the key subject of your painting. 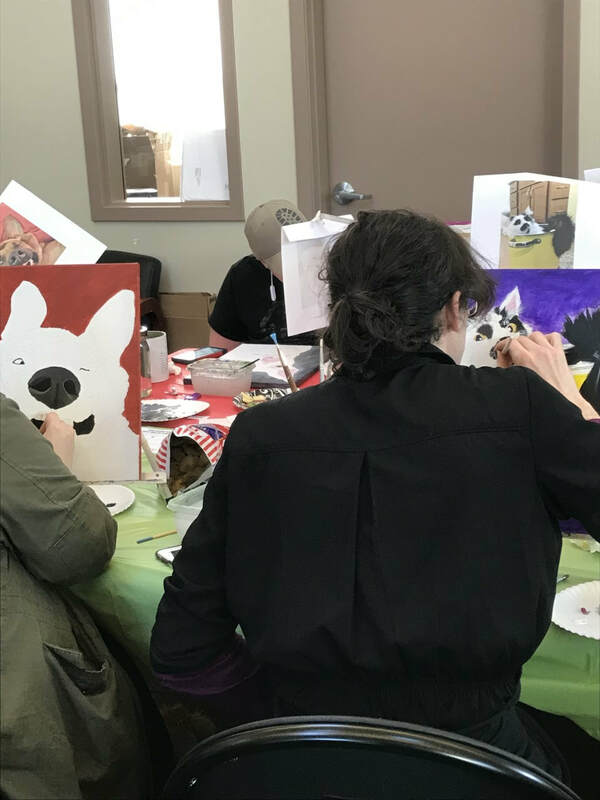 RESERVATIONS ARE ESSENTIAL because I need to collect the images and sketch them onto your canvases prior to the painting day. 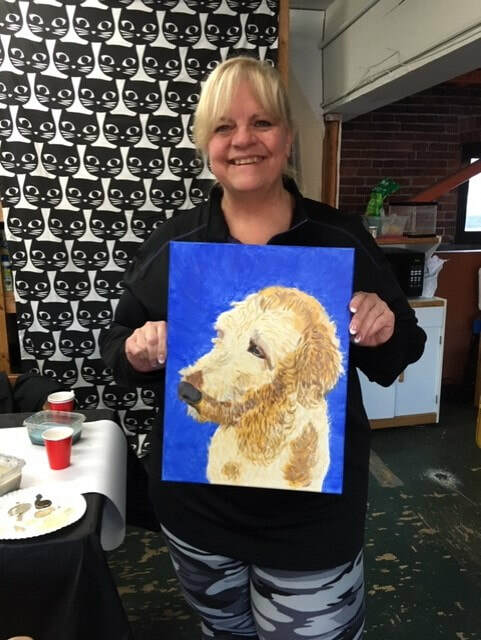 When we all meet to paint, you will have a canvas ready to go with your pet or animal image. 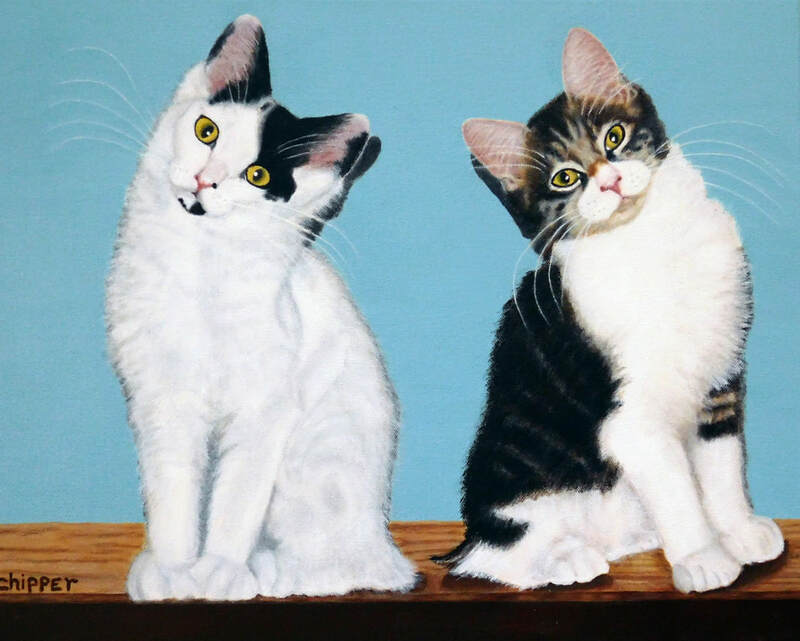 Once you arrive, I will work with you to help you select paint colors for your portrait. I will also provide some general instructions about painting with acrylic paints, how to mix colors, how to use the different brushes, etc. I will also provide specific art instruction and guidance for your specific portrait. 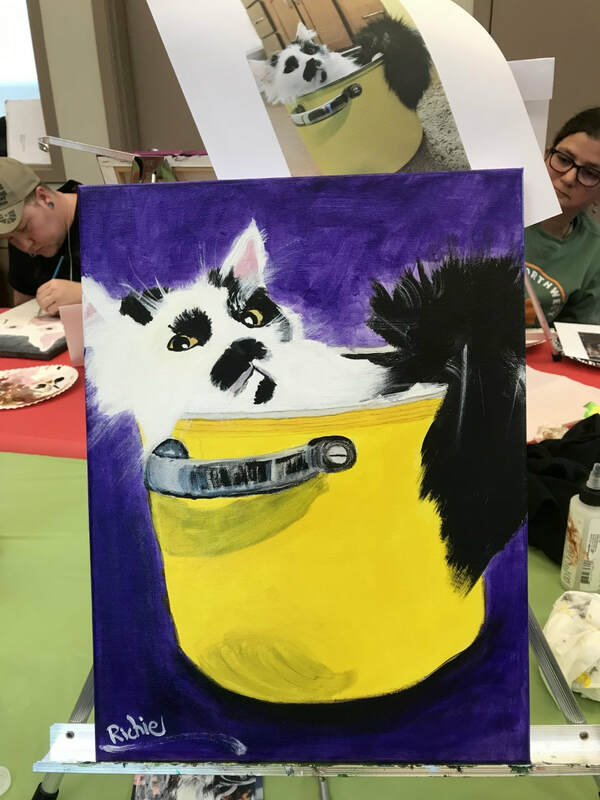 The cost of the class includes a canvas, paints, brushes, and other materials as needed to complete your painting. Because I need to pre-sketch your portrait, and I have limited spaces available, there will be no refunds for no shows. 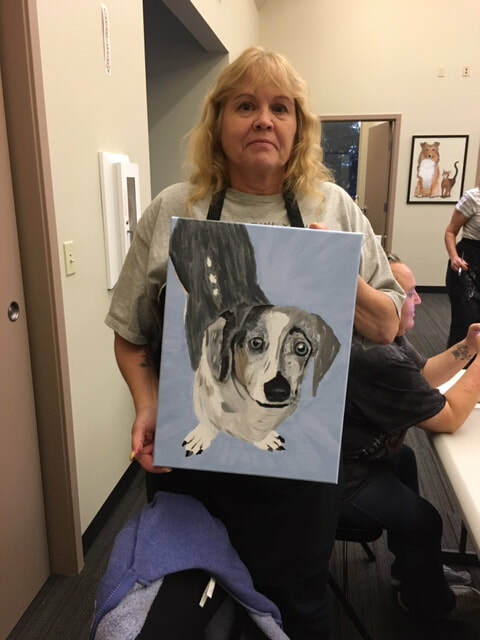 I will bring the art class to you! 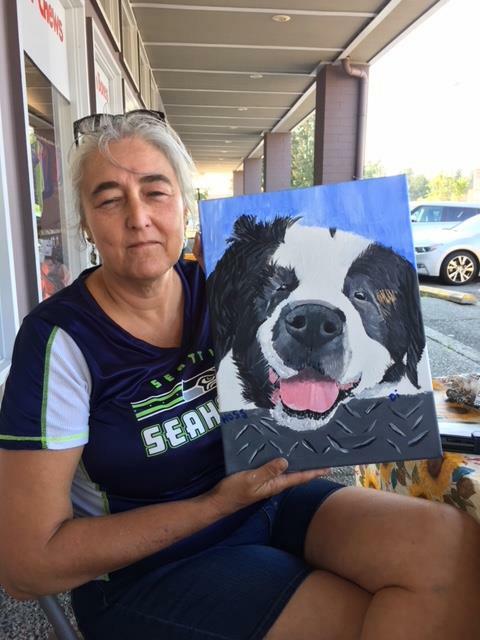 I will travel to your home, your work place or a public meeting space for a private painting party. 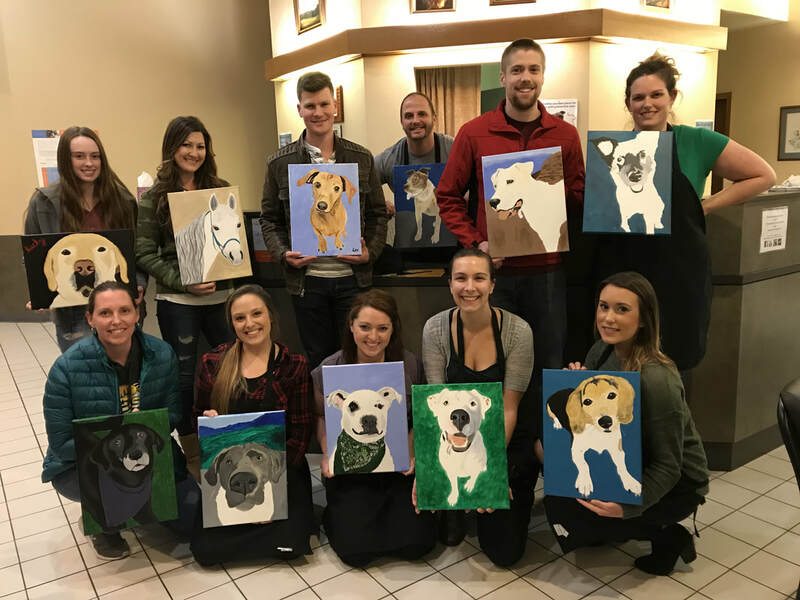 The traveling painting parties allow you to choose the date and time that works for you and your group. 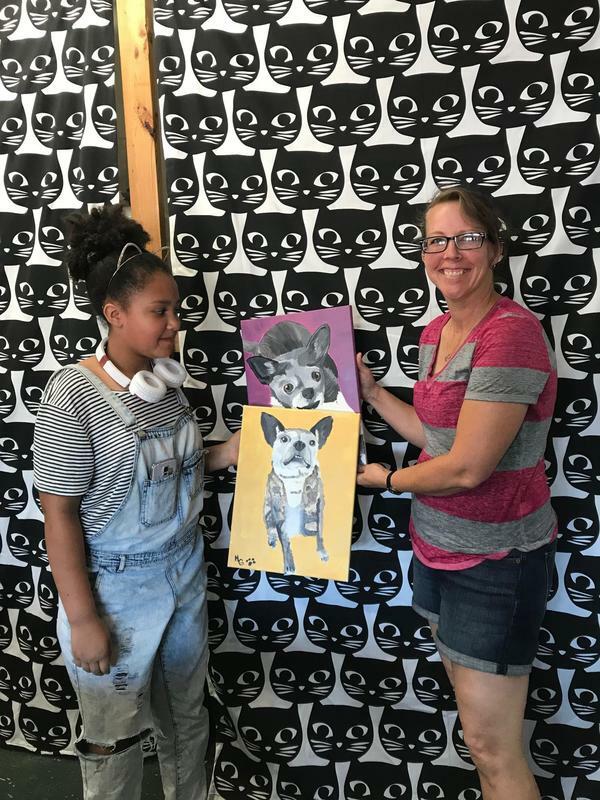 You can choose to create a pet/animal portrait or pick your own theme for the party. I will provide the art supplies needed, including paints, brushes, canvases, easels, aprons and instruction. 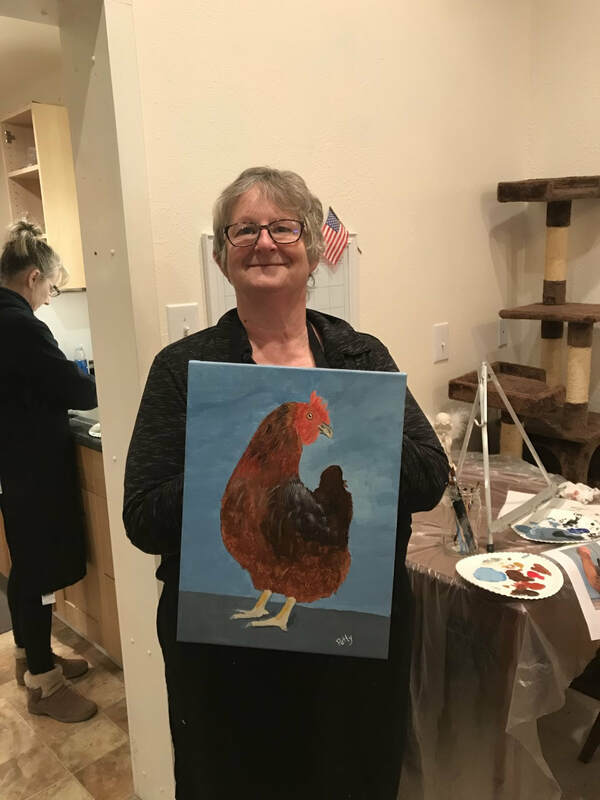 ​There is a minimum of 5 people required for a Private painting party. 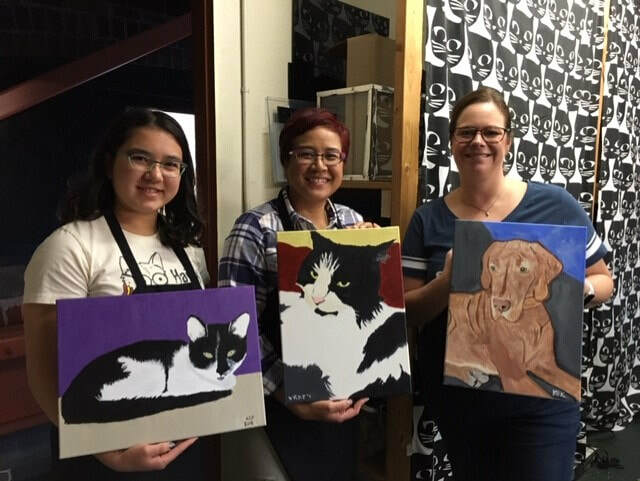 "Everyone had a great time, and did such wonderful portraits! I’ve already shown our work off to friends and my pupper’s daycare (friendly grove) – I expect you’ll be getting even more business! 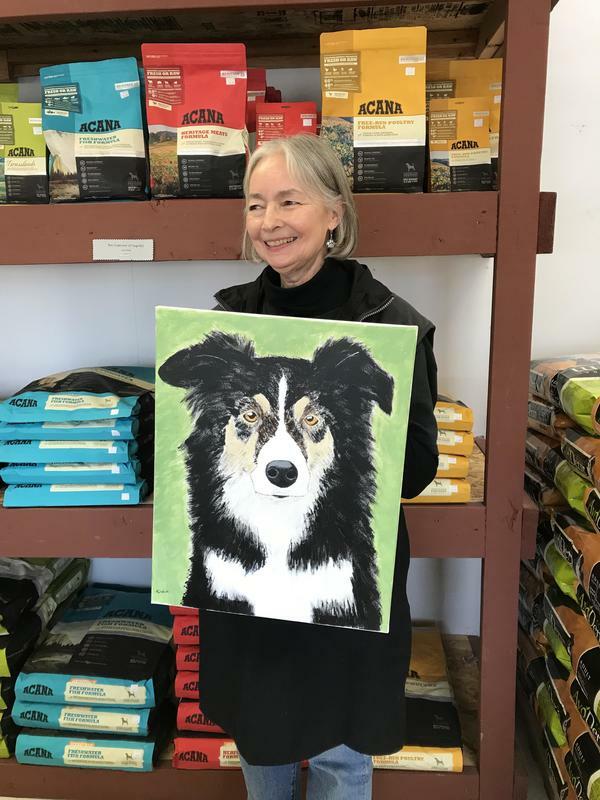 What a great event – thank you again!" 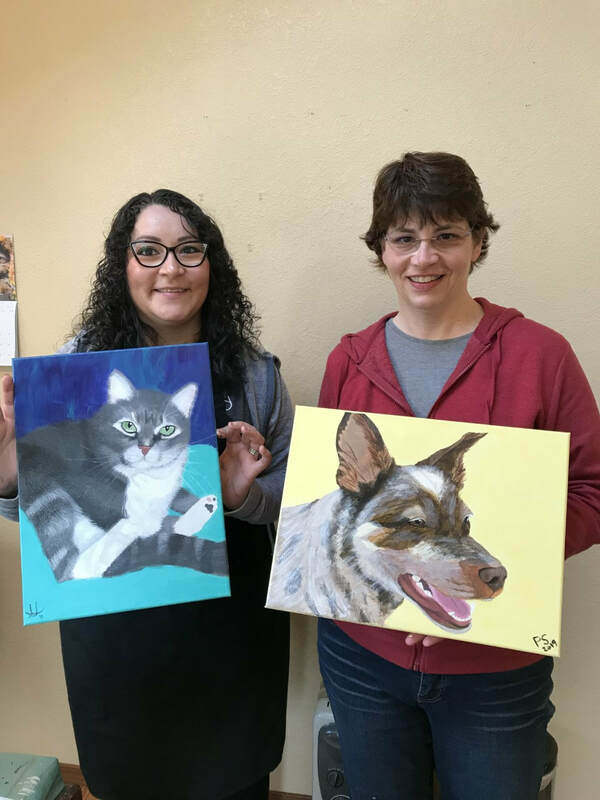 Start with six Saturdays and learn to paint a portrait of your pet or an animal you love. 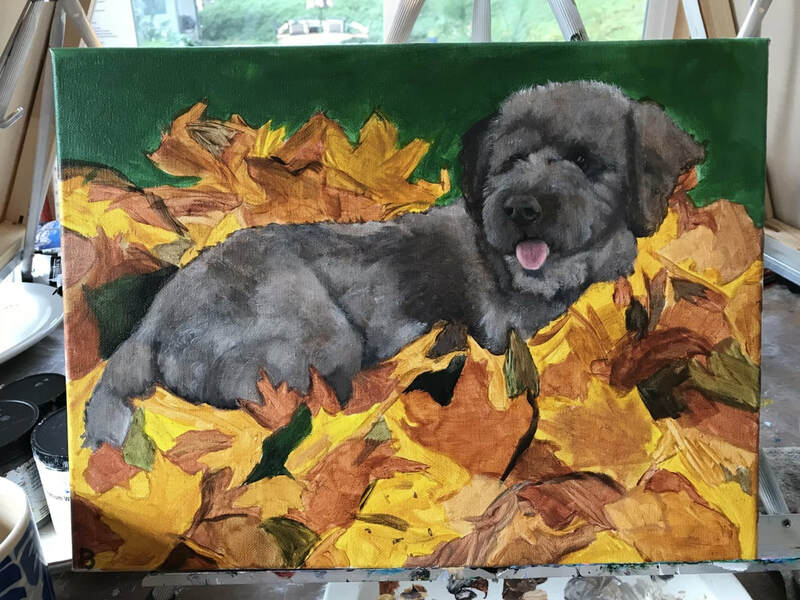 I will work with you to help you create an artistic representation of your beloved pet, or any animal you love. 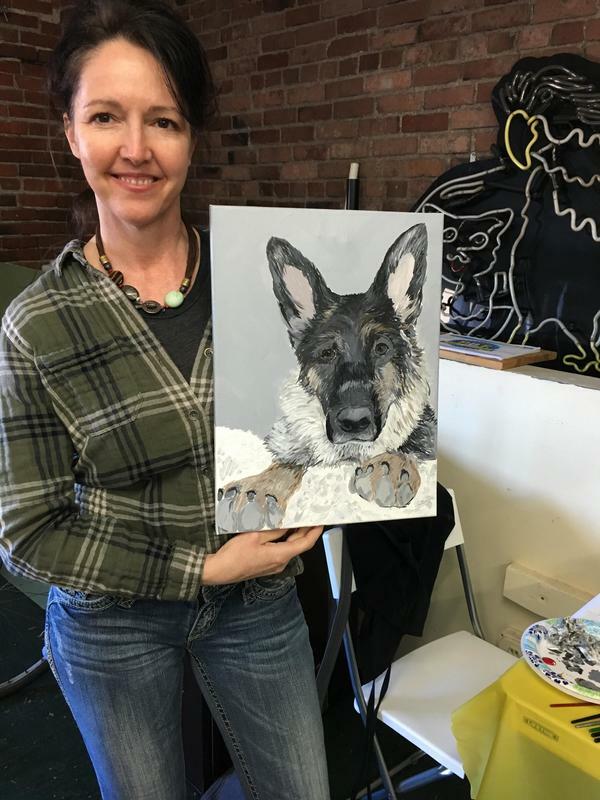 You will learn about, color, mixing color, brushes and brush technique, and the importance of values in painting. 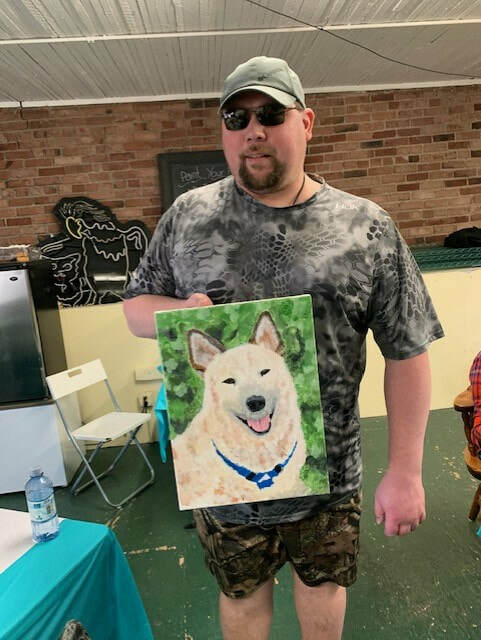 When you are finished you will have a masterpiece portrait created by YOU of your beloved friend! 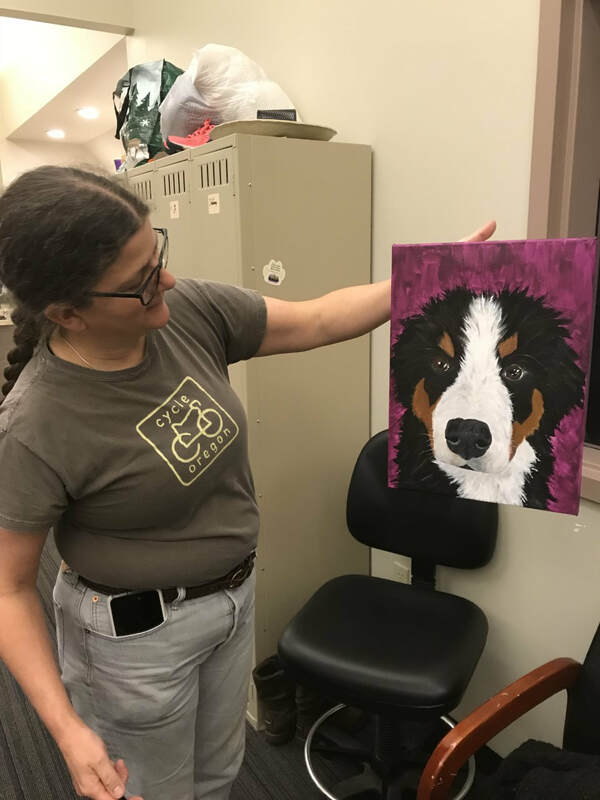 Because this is a painting class, not a drawing class, I will pre-sketch your image onto the canvas prior to the class. 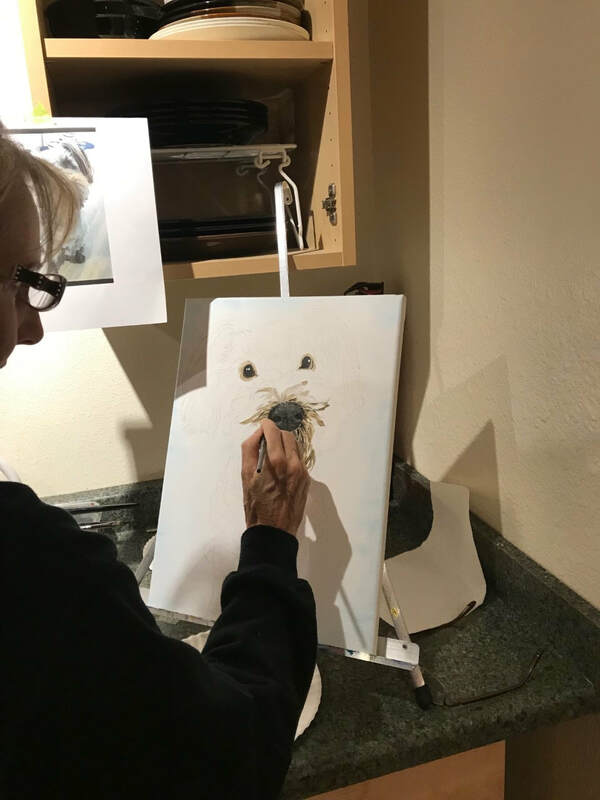 RESERVATIONS ARE ESSENTIAL because I need time to collect the images of your pet/animal and sketch them onto the canvas for you. ​Don't see a class scheduled for a date you want? Let me know. 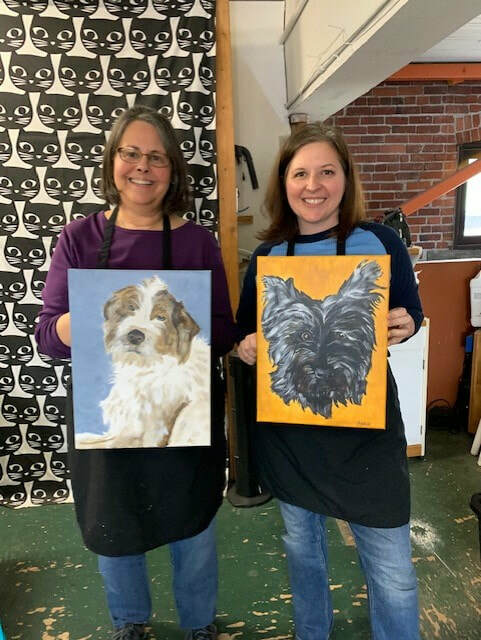 Contact me to reserve your spot in a scheduled class, Plan a Painting Party, or ask me a Question! 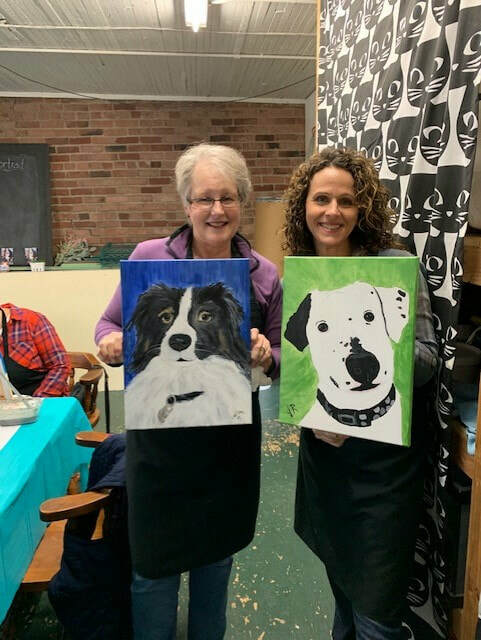 If you would like to set up specific classes, including Art Lessons for Kids, or One on One (or Two) Private Classes, please use this form to get started. 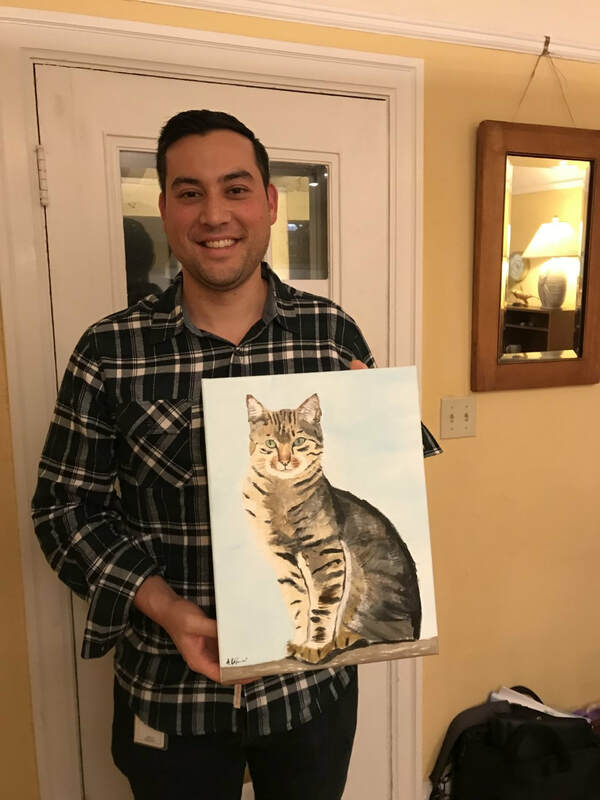 Thank you and I look forward to painting with you! 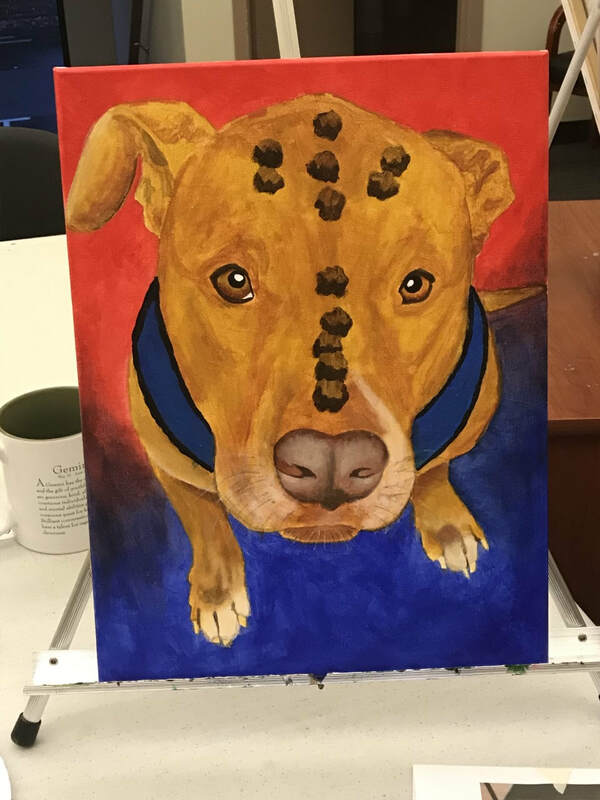 "Portrait of Tobi" a students work.